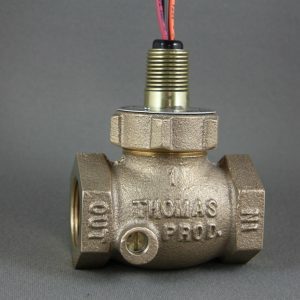 1600 Series Liquid Flow Switch ⋆ Thomas Products Ltd. 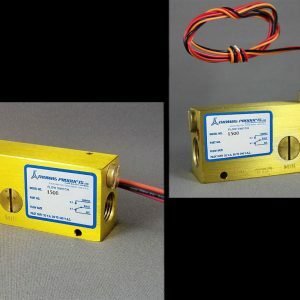 Temperature effect on flow settings: water calibration, slight change; oil varies with viscosity; gas, slight change. 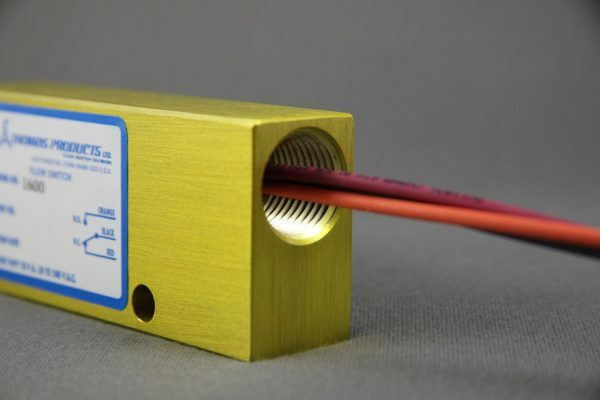 Model 1600 is UL recognized with a SPST reed switch rated pilot duty 20 VA 120- 240 VAC, 174° F.
Optional 3 Pin M/S connector – MS3102E10S-3P. Consult factory. Optional air set points for Model 1600 are available. Consult factory with CFM and line pressure. 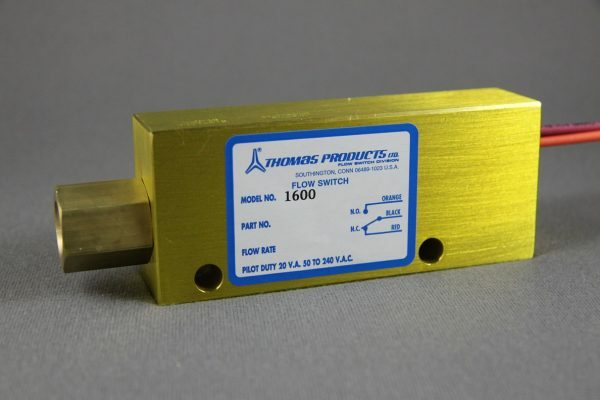 Optional air set points for Model 1700 are available. Consult factory with CFH and line pressure. Other wetted materials: Hysol epoxy. Model 1700 orifice dia. is 5/16″; inlet fitting supplied by customer must be 3/8″ I.D. minimum. All SST piston eliminating epoxy is available. Consult factory. 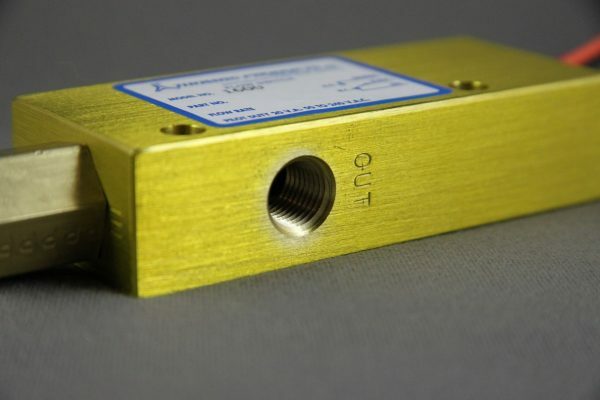 Polysulfone for water in brass housing. 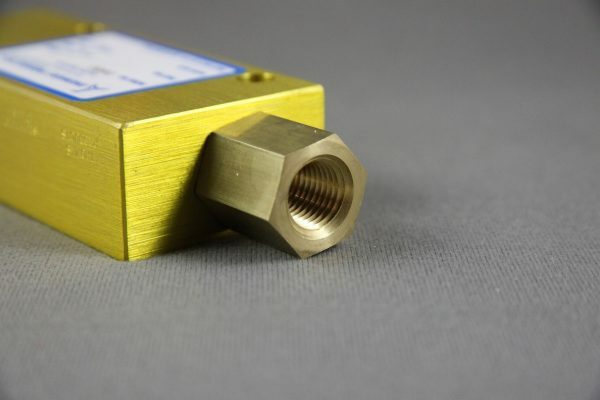 Brass for oil in brass housing.